The overall rating is based on reviews by our experts. 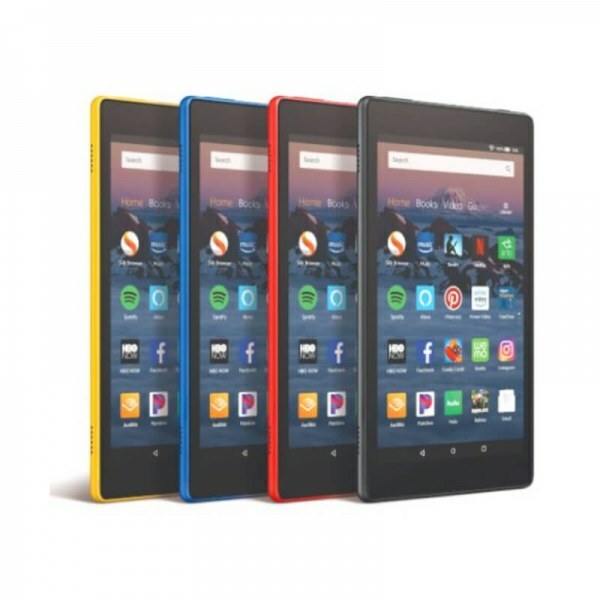 The 2018 version of Amazon’s budget media tablet has been given an update that effectively turns it into an Alexa device. CPU Type CPU (Central Processing Unit) mostly known as processors, CPU processes instructions in order to carry out certain functions that make your device operate properly. Processors are often described as the brain of computers, smartphones and tablets, Smartphones and tablets rely on processors to carry out their every task, Processors are an incredibly important factor in selecting any type of computing device, including your smartphone. RAM (GB) RAM (Random Access Memory) is a type of computer memory that can be accessed randomly, any byte of memory can be accessed without touching the preceding bytes that allows information to be stored and accessed quickly from random locations. RAM is the most common type of memory found in computer systems, smartphones, tablets and other electronic devices. Internal Storage (GB) Internal Storage is a data storage space (flash memory) mostly used in smartphones, tablets and other electronic devices where operating system, apps, music, photos, videos, files and other user data Is stored.